Robert Harper Shumaker was born May 11, 1933 in New Castle, Pennsylvania, where his parents, Alvah M. and Eleanor, were a lawyer and a writer, respectively. He was graduated from New Wilmington High School in 1951 as the class valedictorian. 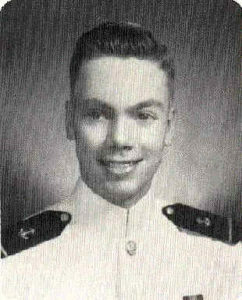 He attended Northwestern University for a year and then in July 1952, was appointed to the U. S. Naval Academy. His was one of only ten appointments granted to NROTC members nationwide and he placed first among 156 competitors. He set a new record for physical endurance. Forty points were needed to qualify and he scored 220. In 1965, Shumaker graduated from the Naval Academy. After flight training, he eventually joined VF-32, a fighter squadron in Jacksonville, Florida. Shumaker was a finalist in the Apollo astronaut selection, but a temporary physical ailment prevented his selection. 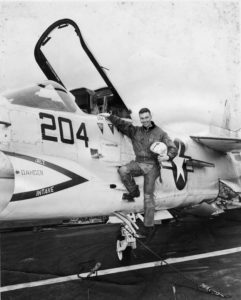 A 1964 graduate of the U. S. Naval Postgraduate School with a masters degree in aeronautical engineering, Shumaker joined VF-154 in San Diego, California. About this time he married Lorraine Shaw of Montreal. 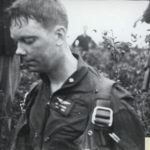 He was stationed on the USS CORAL SEA, an aircraft carrier, when on February 11, 1965, while flying an F8 Crusader, he was shot down on a mission over North Vietnam, and was captured. (The second Navy aviator to be captured.) He had broken his back, but received no medical attention. 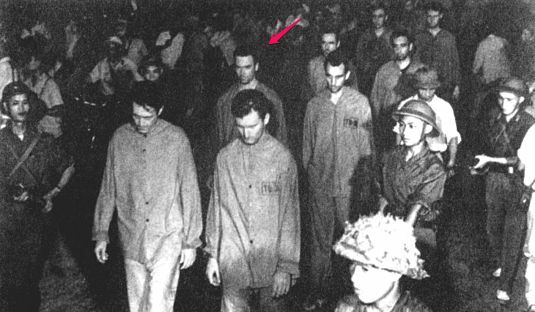 Shumaker was held and tortured in various POW camps including the infamous Hoa Lo Prison in Hanoi. 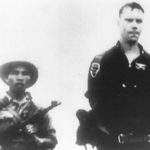 He is credited with having dubbed the complex the “Hanoi Hilton.” His captors paraded him through the streets of Hanoi in July 1966 and his photo appeared in papers worldwide. His fellow POW’s consider him as a resister, leader and patriot. Robert’s mother died while he was in captivity in 1968. 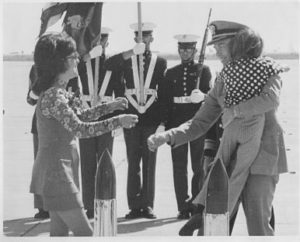 With the signing of a peace agreement in January1973, the POWs were released and Shumaker was repatriated on February 12, 1973, eight years and a day from his capture. 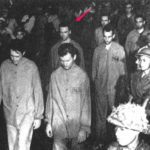 Shumaker was one of the longest held POWs of the war. He returned to New Castle on April 7, 1973, the first time since his capture, where a parade and other festivities were held to welcome him. Shumaker resumed his studies, which eventually led to a doctorate degree in electrical engineering. Captain Shumaker was a government project manager for smart missiles at the Naval Air Systems Command. In 1983, he was promoted to Commodore and assigned as Superintendent of the Naval Postgraduate School in Monterey, California. 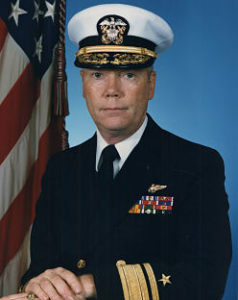 Transferring to the Pentagon in 1986, he was promoted to Rear Admiral, where he was responsible for coordinating the research efforts of the Navy’s air, surface, electronics and space activities. He retired from the Navy in January 29, 1988, and became an assistant dean at the George Washington University and later became the associate dean of the Center for Aerospace Sciences at the University of North Dakota, from which he retired in 1991. 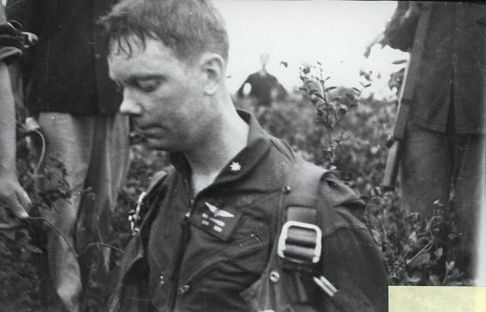 Admiral Shumaker received the Distinguished Service Medal, two Silver Stars, four Legions of Merit, the Distinguished Flying Cross, a Bronze Star, two Purple Hearts and Prisoner of War Medal. He was also presented with the Distinguished Graduate Award from the U. S. Naval Academy in 2011. A PBS film “Return With Honor,” (1998) starring Tom Hanks, tells the story of the POWs in Vietnam. 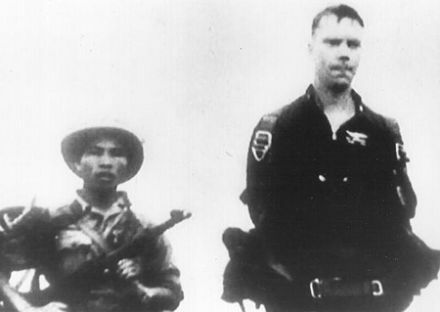 Shumaker and Sen. John McCain are two of the many POWs appearing in this film. Shuamker and his wife live in Fairfax Station, Virginia. They had one son, Grant who is a neurosurgeon in Sioux City, Iowa. 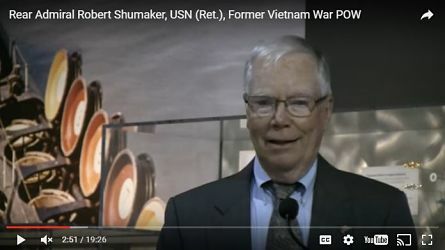 Shumaker’s address to the Naval Historical Foundation where he discusses his captivity.